The Jean Monnet Working Paper on EU Multilateral Diplomacy #1 focuses on the EU’s performance in the UN General Assembly. 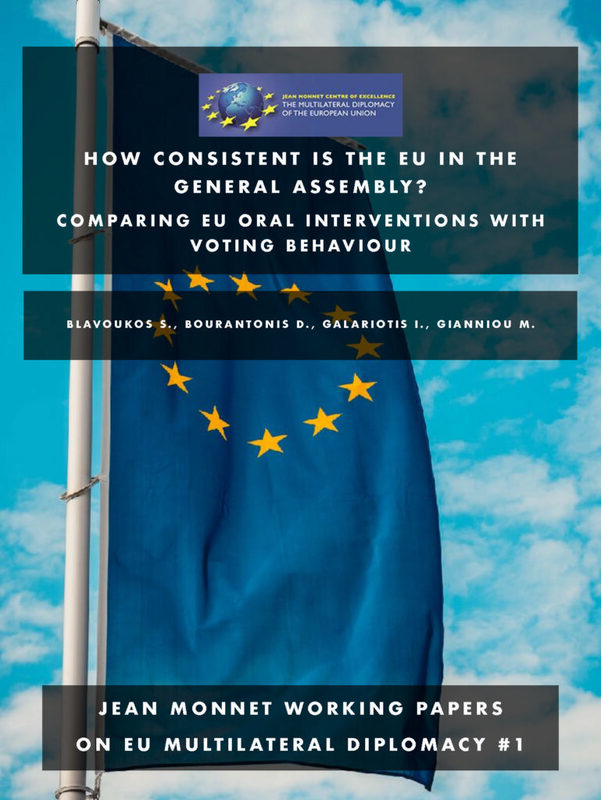 More precisely, it reveals the level of consistency between the EU’s oral interventions in the GA Plenary and main committees and the EU member states’ voting patterns. The authors have a longstanding record of research in the area of EU foreign policy with a special focus on EU activity in the UN.